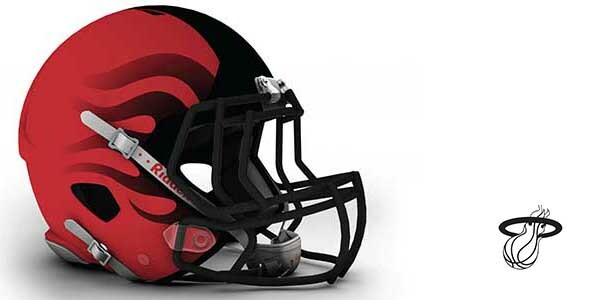 What if the NBA had helmets like the NFL does? Graphic designers James Politi (jamespoliti.com) and Luke Daly attempted to answer this question by throwing some designs together. Miami Heat’s iconic red flames and a black background are the basis of this badass-looking helmet.